Our mission is to deliver quality home improvement while providing outstanding customer service. As a family business that has operated successfully for more than 50 years, we hold ourselves to the highest of standards, which is what earned us the coveted Angie’s List Super Service Award in 2013. The award is presented to the top 5 percent of companies in each industry and market. Winners have met strict eligibility requirements, including an overall “A” rating. To hear from some of our customers, please read through the testimonials below. We also encourage you to visit other external review sites to see what our people are saying about us. Awesome! JOB! Almost took my breath away! … I am very pleased with the entire process, George! You’ve done outstanding work! Thank you doesn’t seem adequate enough! Thank you for a great job! You were a pleasure to deal with all the way thru. Thanks again. Also your men were top shelf. You should be proud. Once again, this time with the written word, let me express my thoughts about the work your company just completed on our home. 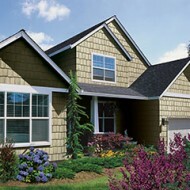 In July Pam and I talked with you about products and price to install vinyl siding. That experience in itself showed us that George Yost was the consummate professional with a very nice sense of humor which I appreciated. So, we signed a contract and you bragged about your siding crew saying we would be very happy with them. Of course, that remained to be seen. 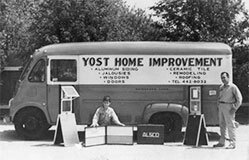 The thing that has been consistency, through the years, in my dealings with Yost Home Improvements, Inc., has been the professionalism of the staff that is dispatched to do the work at my home. This powerwashing was no exception. I had to be away while the work was being done. When I returned home in the early evening, I couldn’t have been more pleased with the results of the power washing of the gutters. I wish I had called so much sooner. Thank you. I wanted to write and tell you how impressed I was with your team. Chris and Dan were respectful, productive and did fantastic work. While the project was a big one, they made sure it was minimally disruptive to our routines. Their intelligence and work ethic was clear in the very deliberate and exceptional work they did. When they finished the property was as clean as they had found it. Finally as a parent I couldn’t have asked for a better team. Their language, demeanor and behavior was not only appropriate but a fantastic model for anyone to follow. It was an absolute pleasure having them work on our home. Working with a home improvement firm is not dissimilar from working with a car dealership: the credibility only begins with the sale. What really sets the best performers aside from the rest is the service which is subsequently displayed and the commitment to standing by the product which has been purchased. Having had seamless gutters installed on our home by Yost in the past, we were thrilled to discover that they also offered a gutter system with a protective guard, since cleaning leaves from gutters is getting behind me in years. We just had these gutters installed recently, and the job was done by Bill and Cory in a superb manner. They were efficient and clean in their work, courteous in their manner, and pleasant in their demeanor. We could not have been more pleased with the final product or its installation. Yost has truly built their reputation the old fashioned way: they’ve earned it! We would highly recommend this family organization to anyone. I just wanted to say thank you for a fabulous job your team did on the porch, gutters and soffits. Sharon absolutely loves it. We were up last night cleaning and getting ready to install the floor this weekend. Al was not only honest but really cared about his work. Everyone was polite and picked up things after every day. They never complained when little Zoe got in the way. I will without a doubt suggest to all my friends and family if they ever need work done, Yost is the way to go. Looking forward to the door. Thank you again for such a wonderful and professional job well done.